the world, today reported record first quarter 2018 revenues of $1.31 billion, an increase of $73.9 million, or 6.0 percent, from the first quarter of 2017. Net income was $11.9 million for the first quarter of 2018, a decrease of $16.4 million from the first quarter of 2017. View Ace's consolidated statements of income, consolidated balance sheets and consolidated statements of cash flows. For more than 90 years, Ace Hardware has been known as the place with the helpful hardware folks in thousands of neighborhoods across America, providing customers with a more personal kind of helpful. With more than 5,000 hardware stores locally owned and operated across the globe, Ace is the largest retailer-owned hardware cooperative in the world. Headquartered in Oak Brook, Ill., Ace and its subsidiaries operate an expansive network of distribution centers in the U.S. and also have distribution capabilities in Ningbo, China; Colon, Panama; and Dubai, United Arab Emirates. Its retailers' stores are located in all 50 states, the District of Columbia and approximately 65 countries. 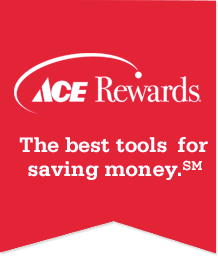 For more information on Ace, visit acehardware.com or the company newsroom at newsroom.acehardware.com.